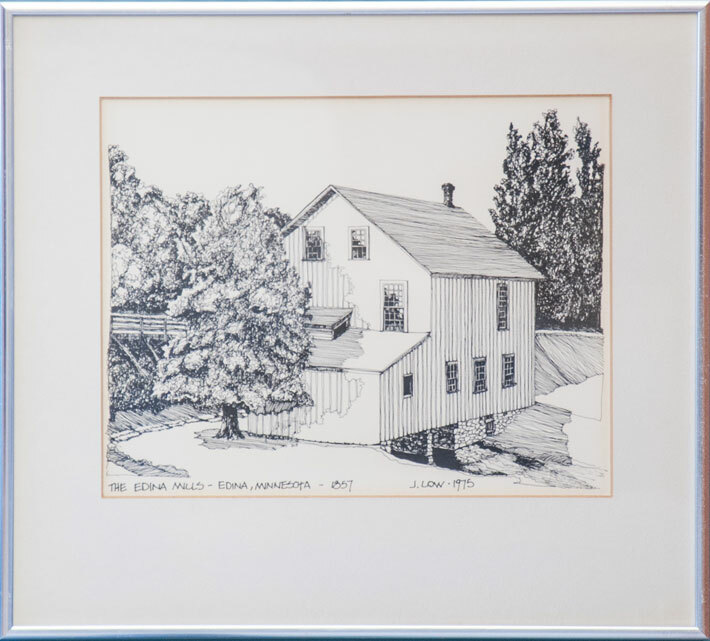 The memory of Edina’s original mill lives on at the library in this drawing by J Low. 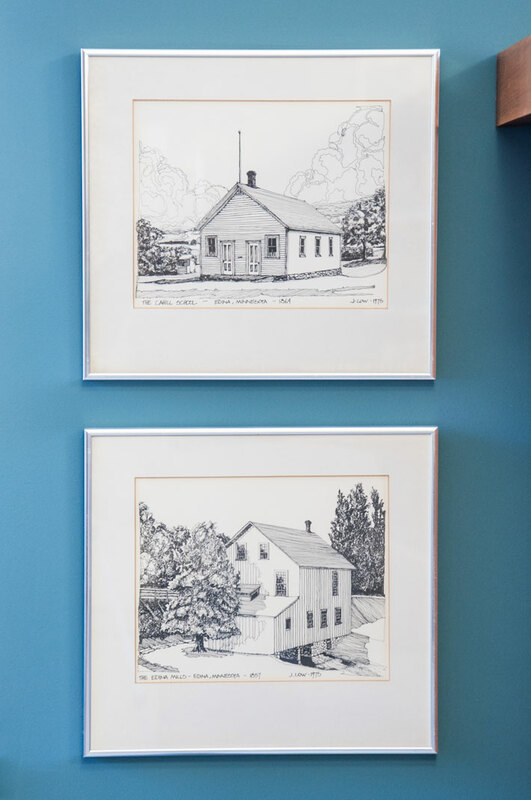 The artwork shows the old mill on Minnehaha Creek, which helped spur the growth of the surrounding area, providing waterpower and a hub of activity. 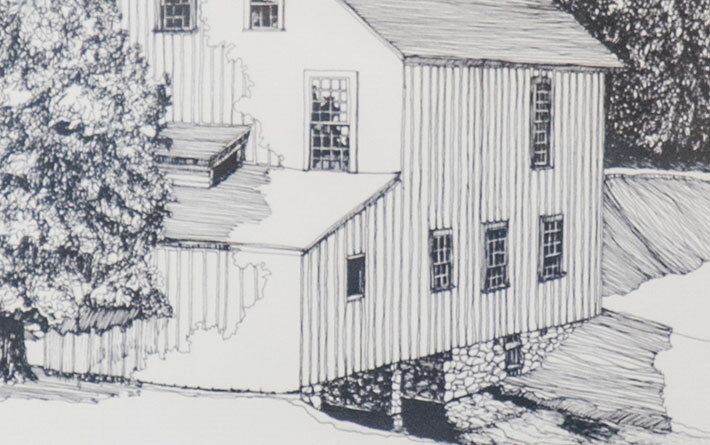 Built in 1857, the mill changed hands many times; it was owner Andrew Craik who named it Edina Mill as a tribute to his hometown of Edinburgh, Scotland. 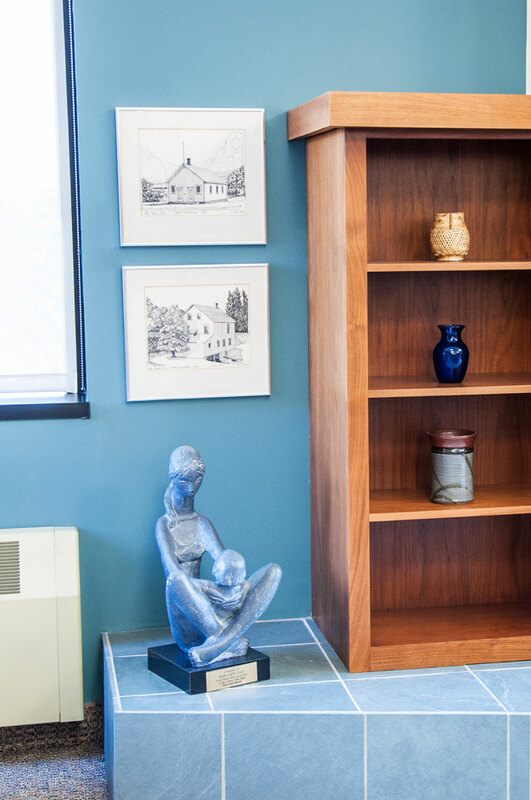 Though the building is long gone, its memory lingers at the Edina Mills Archaeological Site, which became an Edina Heritage Landmark in 2006.